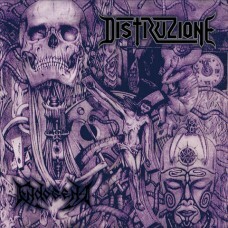 Originally released in 1996 only on Cd and distribuited by (at the time) major Polygram and impossible to find nowadays, shocked italian underground scene confirming good impressions of debut "Olocausto Cerebrale", thanks to a furious and impact sound produced by Omar Pedrini (Timoria) and supported by italian lyrics, trade-mark of the band since the beginning. Earth-shaking and destructive, with fast tempos and solos alternated with slower and evocative parts, surrounded by lyrics about madness, death and darkness that make "Endogena" a catacombal album, primoridal in its violence. 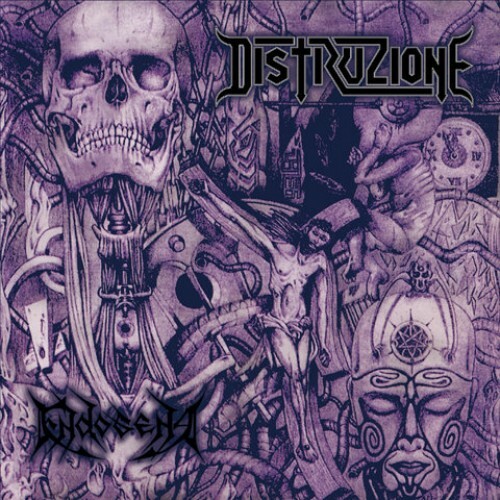 Absolutely a cult album for all thrash-death maniacs consecrated Distruzione as one of the best extreme underground bands of '90s. Completely remastered and available again on Cd and for the very first time on vinyl.